On Wednesday, the Economic Times reported that MoEF&CC has eased the norms for expansion of coal mining projects producing up to 8 million tonnes of coal in a year across the country. Further, the ministry has also agreed to a proposal to adopt a cluster approach in clearing smaller mines in the coal-rich belts in the nation. On the other hand, in a bid to arrest the slow growth of industries and manufacturing, the ministry also lifted a moratorium on eight critically polluted clusters across the country. According to sources, the information had already been made public by Gujarat state environment minister, Ganpat Vasava, earlier this month. In a public rally and later in an interview to a local newspaper, he said that moratorium on critically polluted clusters have already been lifted. A senior ministry official later confirmed the development. The official, not wanting to be named, also said that the Comprehensive Environmental Pollution Index (CEPI) would be re-assessed by the ministry. The official could not produce a date for the said order. For coal rich areas, such as Singrauli, where locals have been facing health problems (See ‘India’s Minamata’ and ‘Singrauli pollution a matter of serious concern, admits high powered committee’), the decisions are a big blow. In September 2012, former environment minister Jayanthi Natarajan started easing the norms for expansion of small coal mines with production levels of up to 8 million tonnes per annum (See ‘New Green Clearance Procedures make coal expansion easy’). In December, the same year, Natarajan exempted coal mines with plans to increase production by as much as 25 per cent from holding public hearings as part of the environment clearance process. On Wednesday, the BJP-led NDA government that assumed power this May has exempted small coal mines with plans to increase production by as much as 50 per cent or 1 million tonnes per annum. Earlier, in January, the ministry, which was then headed by Veerappa Moily, increased the limit to 50 per cent but small mines availing the one time exemption of public hearing under rules of 2012 could not avail the exemption. They also can now avail the exemption, According to MoEF&CC, about 400 coal mines are operating with a production capacity up to 8 million tonnes per annum. On top of this, MoEF&CC in a meeting with coal ministry agreed to a proposal which is likely to help boost coal production, especially that of Coal India Limited. The environment ministry will be adopting a cluster-based approach in clearing these mines with one public hearing, one production limit and one set of pollution control norms instead of clearing individual mine leases. According to coal ministry officials, the cluster-based approach will help public sector companies such as Coal India to boost their production in order to meet targets. For this, 94 such clusters have been identified by the ministry across the country. Coal India has often blamed the environment ministry for slump in the production as clearances cause delays. While there have been demands from across the industries to re-assess CEPI, Gujarat Pollution Control Board (GPCB) has been at loggerheads with CPCB since last one year over the assessment process under CEPI. According to GPCB chairperson K U Mistry, there is a wide variation in CPCB and GPCB data collected for the critically polluted clusters such as Vapi in the state. Mistry has been disputing CPCB figures for the past one year, while the Central body stuck to the moratorium. Environmental activist Rohit Prajapati has, meanwhile, criticised the environment ministry’s decision to lift the moratorium and re-assess CEPI. On December 9, 2013, based on a petition by Prajapati and Farmer Action Group, a Gujarat based farmers’ rights body, the Forest bench of Supreme Court of India issued notices to MoEF&CC, CPCB and all the state pollution control boards to file report on the steps taken to control pollution in these clusters (See ‘SC raps Centre, states for worsening critically polluted industrial clusters’). Prajapati has shot off a letter to environment minister Prakash Javadekar. “The [Gujarat] minister making statement about lifting of the moratorium is unconstitutional as MoEF [&CC] is the sole body that can lift the moratorium. If what is stated by Vasava about the lifting of the moratorium of industrial clusters is true, then it clearly indicates that ministry’s decisions might be maneuvered by the industrial lobby and various state governments,” wrote Prajapati to Javadekar. According to Prajapati, Javadekar in a press conference in Ahmedabad last week said his ministry will take two weeks in reviewing the decision for lifting the moratorium on critically polluted clusters, while Vasava went on to announce that the Union ministry has already lifted the moratorium. The case relating to industrial pollution is still pending in the apex court and a hearing is expected in August. The basic question now is: Do we need a ministry for environment??? unfortunately the most critically polluted zones are in Gujarat. As NDA government is pro-industry government they wanted to ease all environmental laws that come in the way of industrialists. I really wonder all such decisions will they not come under quid pro co. In the case of undivided Andhra Pradesh, CPCB 2009 report Patancheru-Bollaram zone comes under critically polluted zone with CEPI index of 70.07. Andhra Pradesh Pollution Control Board submitted a report -- Final Action Plan for improvement of environmental parameters in critically polluted areas "Patancheru-Bollar cluster" in July 2010. 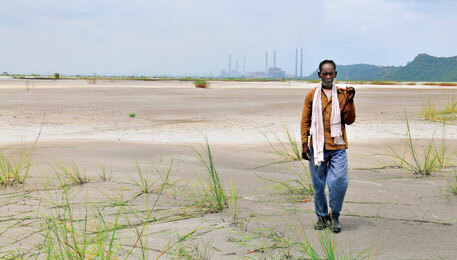 Based on this report MoEF delisted this area from the critically polluted areas on 26th October 2010. According to this report CEPI index was given as 47.33 [so in one year CEPI reduced from 70.07 to 47.33]. On this I sent my observations on 31st December 2010 to MoEF. In this letter I observed that "It appears that neither the steering committee of CPCB or CPCB in-house committee nor MoEF has gone in to the data nor index submitted by APPCB or ground realities before taking an important decision by MoEF. May be it is due to match fixing between industries-APPCB-MoEF". The ban was imposed in 2007 after the court directions. A GO was issued lifting the ban notification of 2007 and in that connection I wrote a letter to CS to withdraw the same on 27th July 2013. Just at that time CPCB released new report on CEPI index wherein 70.07 changed to 74.58. That means there is no improvement in controlling the pollution even after diverting PETL effluent to Musi River instead of Nakkavagu and on the contrary increased. Then the ban revocation was put under abeyance. Now with the NDA government's quid pro co order the country will flourish with "pollution" -- land, water bodies, food [produced from polluted water] and thus health hazards increase. All this show that NDA government is interested to look after business interests of friendly businessmen at the cost of people who voted them for power. "Growth for the sake of growth is the ideology of the cancer cell." - Edward Abbey. Limited efforts to improve social and ecological security/ resilience important for sustaining a life is being slowly taken away from the from the poor and the voiceless. Policies such as these are only going to increase disparity. In the current trajectory we are headed headed towards civil wars, I can only hope the people in power ensure food and water security with healthcare for all.